Contact us, and we will choose the right solutions for you. We specialize in professional MAG and TIG welding of structural carbon and alloy carbon steels as well as aluminium. Constant supervision of Senior Welder and application of modern welding equipment guarantee unparalleled quality of our services. Highly qualified and experiences personnel as well as modern machinery and workstations ensure reliability and durability of welds and welded elements. In TIG welding a non-consumable tungsten electrode is used to produce an electric arc. 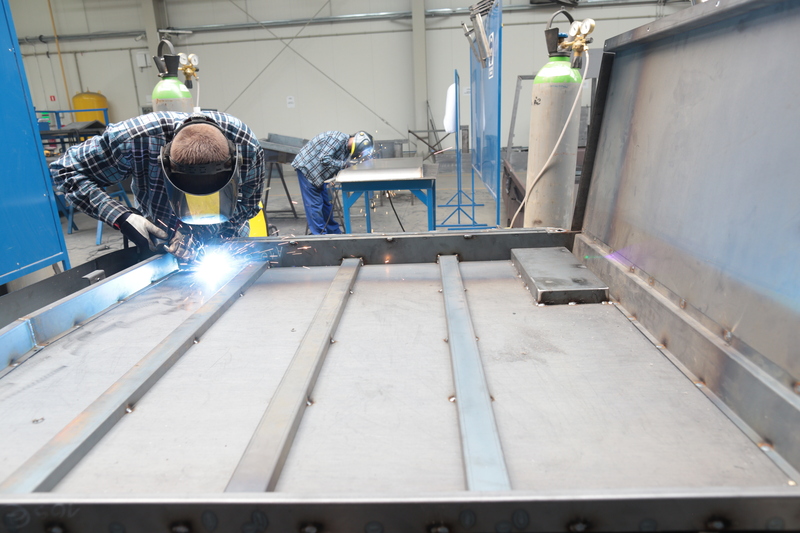 In this case, the entire welding process is executed in an inert gas shield – usually argon or helium – in order to protect the electrode and the weld against oxidation. TIG method is mainly used for welding stainless steel and other types of high-alloy steels. It is also applied for welding titanium, copper, aluminium, nickel and other alloys. This method is very often used for welding pipes and thin sheet metal. It is not only common in the metal working sector, but also in food processing, chemical or automotive industries. 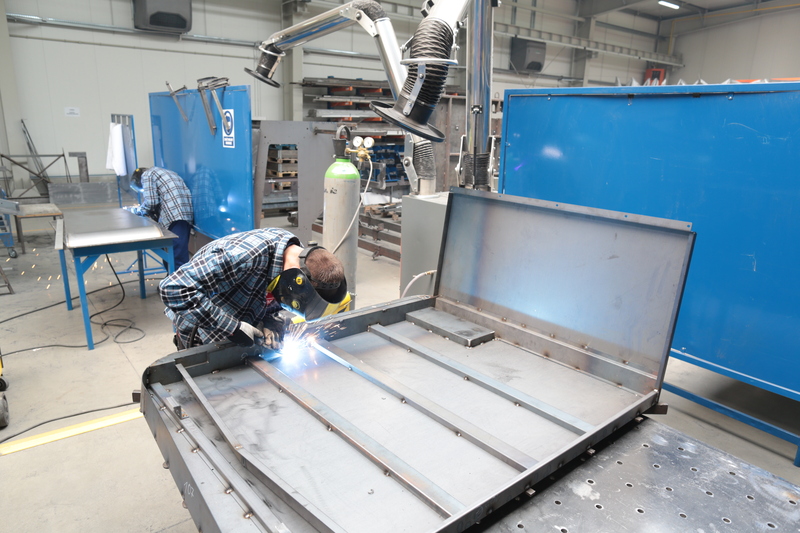 possibility of applying automated welding solutions. 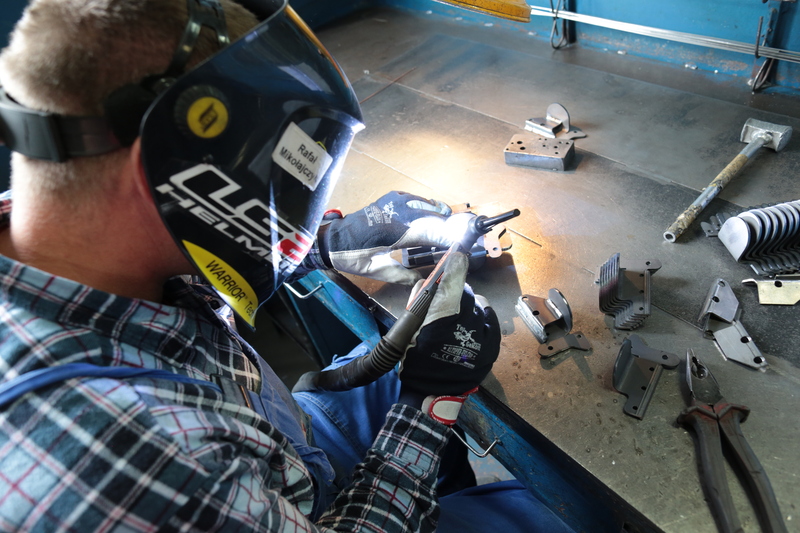 Unlike TIG welding, MAG welding involves the use of consumable electrodes. The process involves an electric arc created between the welded workpiece material and the continuously fed consumable wire electrode. It all takes place in an active gas shield - carbon dioxide or its mixture with argon. At present, MAG welding is the most common welding method, applied for welding non-alloy, low-alloy and high-alloy structural steels. It is used at small repair and maintenance workshops, for manufacturing pipes, pressure vessels, steel structures, in the shipbuilding and automotive industry, as well as for sheet metal processing. possibility of applying automated/robotic welding solutions. 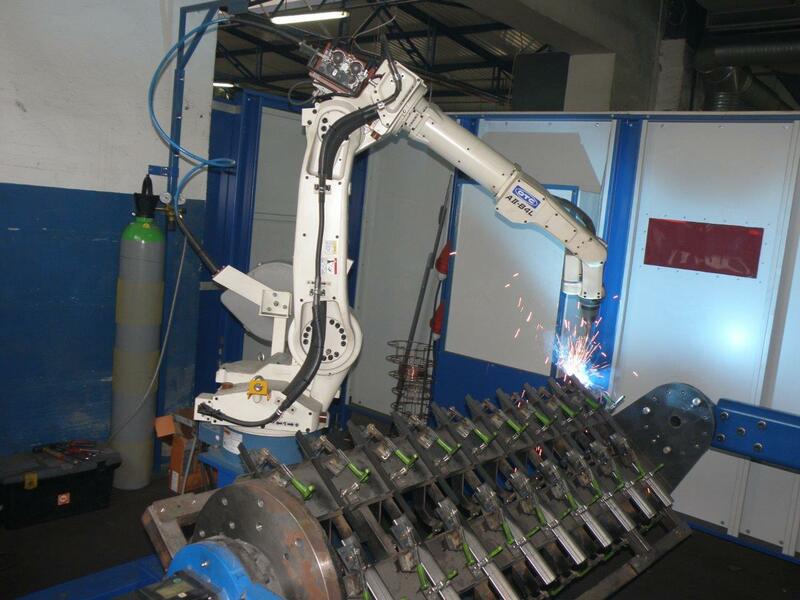 Our Company also offers automatic welding using OTC-Daihen robotic system. The workstation is based on the AII B4L robot mounted on a pedestal integrated with the workstation platform. The same platform houses the HWP positioner offering two interchangeable working tops - one always positioned in the robot's working range, and the other - in the operator's area. 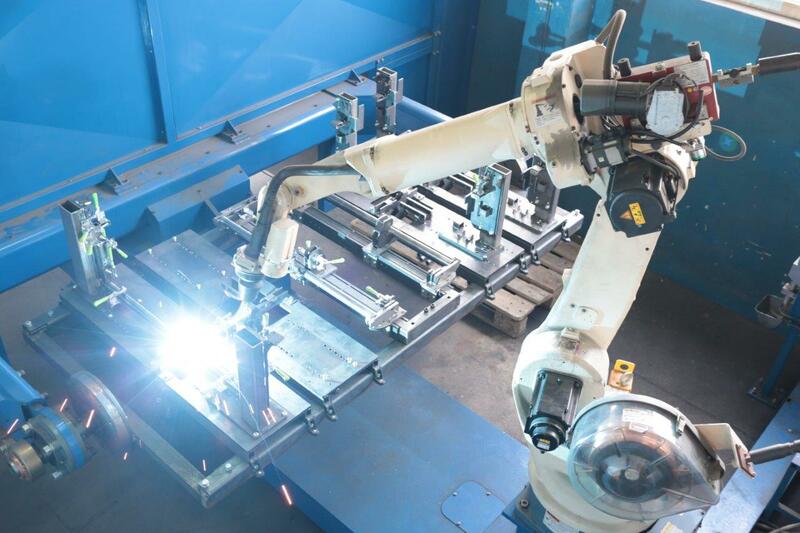 While welding process takes place at the robot's side, welded components are simultaneously unloaded in the other area, further workpieces being loaded for welding. 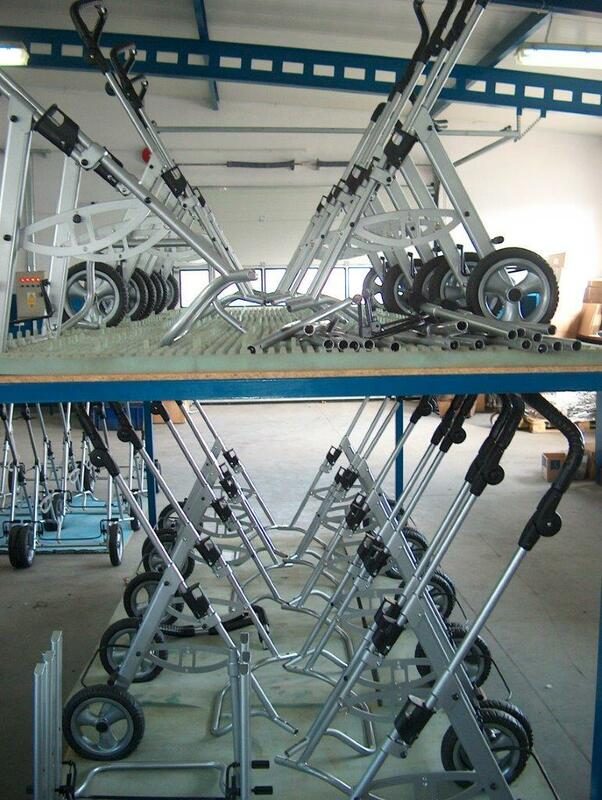 Highly qualified and experiences personnel, supported by modern equipment and workstations, ensure very high quality and durability of welds made by our Company. 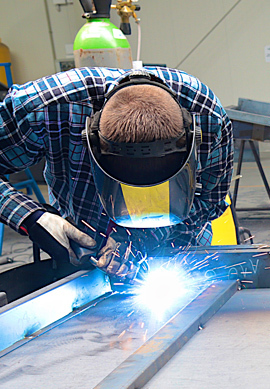 Aluminium is an excellent material for welding. 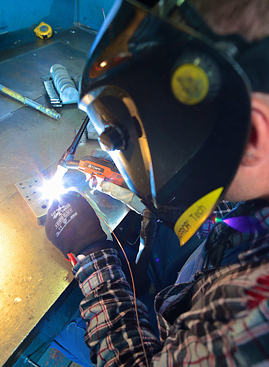 It can be joined using various methods, but TIG and MIG welding processes are the most common. Aluminium welding is rather easy, but special attention must be paid to the reaction occurring between the metal and oxygen, which results in rapid generation of oxides that may cause weld defects. First, oxides must be removed from welded surfaces, and only then the process can be completed. 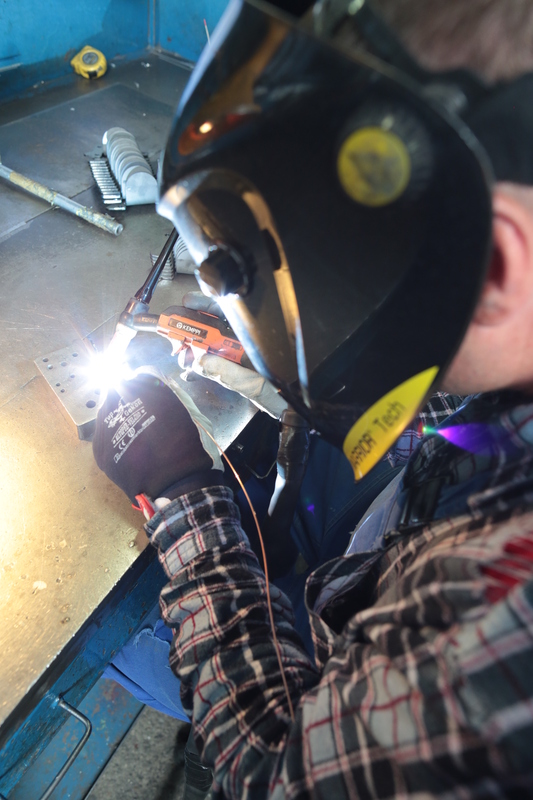 Aluminium welding takes place in an inert gas shield (required both for TIG and MIG methods). However, it should be noted that aluminium is susceptible to aluminium oxide and hydrogen inclusions. This is why high-purity shielding gas is recommended – usually argon and helium, with purity level exceeding 99.5%. © Fludra. All rights reserved.